PennsylvAsia: Green Pepper to add Korean fried chicken to menu. Green Pepper, a Korean restaurant in Squirrel Hill, recently started advertising Korean fried chicken (양념치킨) in its window. Korean fried chicken is a stateside trend that hasn't spread widely in Pittsburgh; Chick'n Bubbly opened in Oakland in 2014, and Ki Pollo in Lawrenceville last year, but that's been about it. 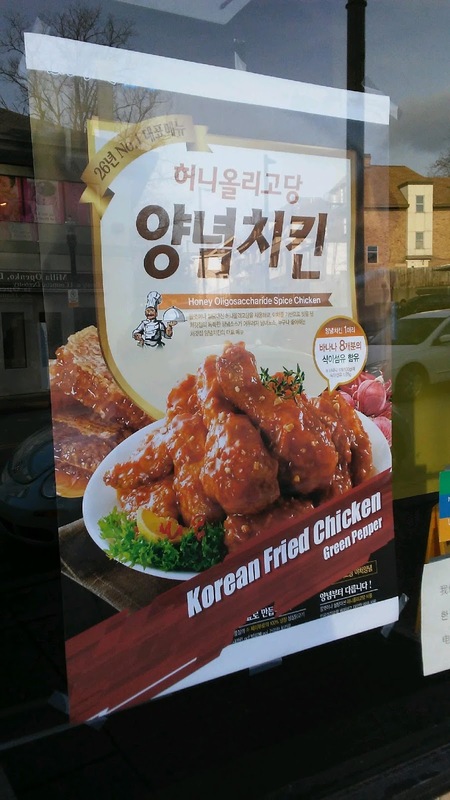 The poster is taken from 2014 advertisement for 처갓집, a Korean chain that also boasts a 허니올리고당 flavor; the top selling point the chain uses is the health benefits as compared with other fried chicken varieties. Green Pepper is located at 2020 Murray Ave (map).